The last article written by Alberto Argenton – Is Arnheim just a formalist? – was published posthumously in Gestalt Theory, issue 3/2015. 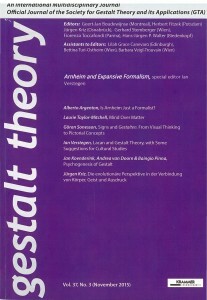 The article confutes the recent, ridiculous statement that Arnheim was a formalist, also by analysing some of his theory’s constructs. Is Arnheim just a formalist? 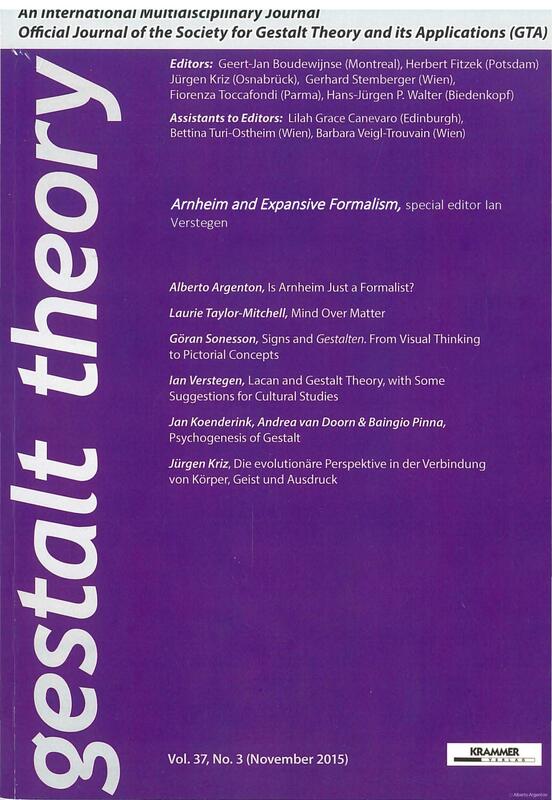 Alberto Argenton (2015), Is Arnheim just a formalist?, Gestalt Theory, 37(3), 219-234.